Not many weight training exercises work as many muscle groups and build muscle as fast as the deadlift. The neck, traps, upper, middle, and lower back, glutes, hamstrings, quads, biceps, forearms, and abs are all utilized in the deadlift. No other exercise is a better test of overall body power. A deadlift is the most basic exercise anyone can do. Bending down and picking a weight up off the floor is the one weight training exercise that mimics everyday real life situations. - The squat has been known for years as the “king of all muscle building exercises” and for good reason. I’m not talking about sissy boy half squats either; I’m talking about real below parallel, full squats. If you don’t at least break parallel it’s not a squat. Like deadlifts, squats involve an enormous amount of muscle mass and stimulate the release of anabolic hormones such as testosterone. This is great for building muscle fast. The squat is probably the most revered exercise among serious lifters and the power rack is considered our sacred ground. If you ever want to develop any kind of real lower body strength and build muscle fast, you have no choice but to squat. - Not many exercises will build muscle in the upper body like chin ups. Known as the upper body squat, chins stimulate nearly every muscle from the traps down to the abdominals. Any exercise that allows you to move your body through space as opposed to moving a weight or fixed implement around you has a much higher degree of neuromuscular activation, and therefore a much greater potential to elicit gains in size and strength. Look at the development of male gymnasts and you will see for yourself what years of chin ups and dips can do for the upper body. If you want tobuild muscle fast, be sure to include chin ups in your weight training program. - A close second to chin ups as one of the best upper body exercises for building muscle fast, and for all the same reasons. If you want big arms you had better include dips in your training program. No otherweight training exercise will add slabs of muscle to the triceps as effectively as dips. A huge chest and enormous pair of front delts are also a pleasant side effect that comes with regularly performing this outstanding muscle building exercise. - A total body muscle building exercise which hits the calves, hamstrings, glutes, quads, lower and upper back, traps, shoulders, biceps, triceps, and forearms. Although it is, by definition, an Olympic lift, it can be done in more of a strict manner to really target the traps, upper back, and shoulders. When done in this manner, it is not performed solely with the intention of developing explosive speed like most Olympic lifts are performed. Doing the clean and push press in this manner is a form of power bodybuilding and will really blow up the traps and shoulders. 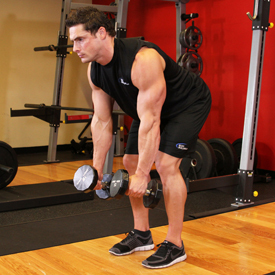 If you could only pick oneweight training exercise for building muscle, this might be the one. It’s a shame you don’t see this in more bodybuilding programs. - This is one of the three powerlifting exercises and along with Military Presses, is the greatest of all pressing movements for building muscle in the upper body. When looking at the effectiveness of an exercise, the questions to be asked are what will allow the lifter to use the most weight and what exercise involves the most muscle mass. The bench press meets both of these prerequisites and besides being incredibly effective as amuscle building exercise, it is one of the best measures of upper body power. - Also known as the front press, this was once considered the number one measure of upper body power and was the premier muscle building exercise for the upper body. In the old days of strength training most people didn’t even do bench presses; every weight training exercise was done standing up. Bench pressing was looked down upon as a show lift and real men only did overhead presses to build muscle. Bench pressing took over with the development of powerlifting and bodybuilding and the military press took a back seat. It is still however, a great measure of upper body power and should be done by anyone interested in building an impressive set of shoulders and building overall muscle mass throughout the upper body. Even though some uninformed doctors will have you believe that overhead pressing can be dangerous, old time strong men argue that there would not be as many shoulder injuries as there are today if the military press had remained the upper bodyweight training exercise of choice. 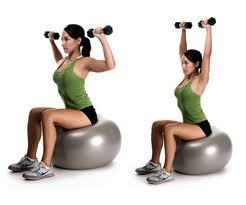 Equally effective variations of the military press include the push press, push jerk and split jerk. 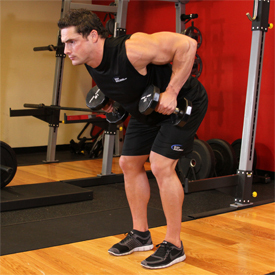 - When it comes to building muscle in the upper back and lats, bent over rows are hard to beat. This weight training exercise can be performed many different ways; palms up, palms down, wide grip, close grip, to the abdomen, to the sternum, with an ez bar or with a straight bar. However you do them, nothing will develop thickness in the back like rows will, and anyone who has been involved with bodybuilding for a while will tell you there is nothing more impressive than a well developed back, muscular back. - Although they are a rarely performed weight training exercise by a large majority of bodybuilders, good mornings remain one of the staples of a good size and strength gaining program. 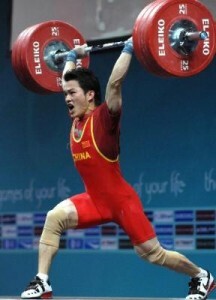 Powerlifters seem to be the only ones who know about the muscle building properties of this outstanding exercise. The reason thismuscle building exercise is often avoided is that good mornings are brutally hard work. But that hard work brings huge rewards. Good mornings will build muscle fast and pack tons of size on your lower back, glutes, and hamstrings. They are also one of the best weight training exercises to help improve your squat and deadlift, which is the main reason they are a mainstay in powerlifting. - Yes, you read that right, I said pushups are one of the best weight training exercises to build muscle fast. For a beginner pushups are the absolute best muscle building exercise to do for the pecs, delts, and triceps. However, as you make progress and get stronger pushups become too easy and are usually forgotten about. That is a huge mistake. There are several varieties of pushups that can be used by intermediate and advanced lifters such as elevated pushups on pushup handles, dumbbells, or chairs. Pushups can also be done on gymnastic rings hanging from chains and suspended a foot or so above the ground to make them even more challenging. When either of these versions of this awesomemuscle building exercise becomes too easy you can have a partner hold weight on your back, use a weighted vest or even drape heavy chains across your back. If you are looking for more variety, Hindu pushups are another great version of this exercise and can sometimes humble even the strongest of men. So there you have it, the best weight training exercises for building muscle fast. All the food and supplements and drugs in the world are worthless if you train like a Nancy boy. Machines and isolation movements are as effective as running on a treadmill when it comes to getting big and strong. Stick with the weight training exercises above; make them a staple in your training, and start saving up for a new wardrobe. Its time tobuild muscle fast!